My name is Michael Lehmann, and I am the Product Support Manager for our new registration platform, Payscape Registration! Our team is thrilled to offer schools, camps, auxiliary programs, and a variety of other organizations the most comprehensive and innovative registration software available today. I will be regularly previewing some of the key features of our platform while sharing insider tips on how to best utilize your own account! This week’s topic is all about our custom tag builder which makes it even easier for your target audiences to search and register for your programs. The ‘Tags’ section of Payscape Registration can be found on the sidebar menu of any page within your account. Here, you can create unique tags to be applied to any programs. 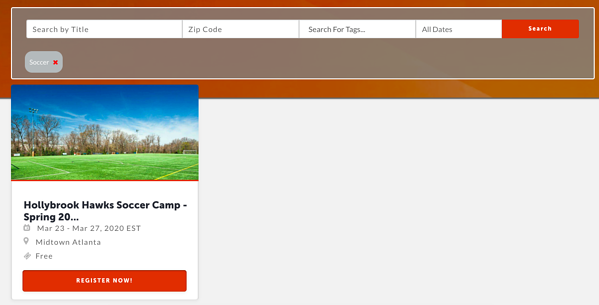 For example, you can create a general ‘Sports’ tag for any sports-related camps or a more specific tag such as ‘Youth Baseball’ for baseball programs reserved just for kids. Once your tags are created, each one can be attached to any related event during the program builder process. 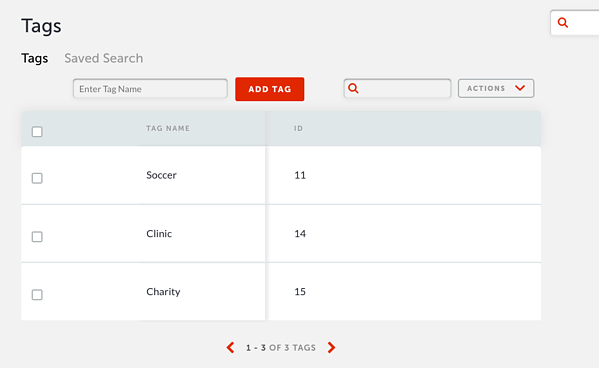 Then, when interested users are searching on your landing page for their next program to join, tags can be used as a filter to narrow any searches. Let’s say that a child is interested in learning how to play soccer and asks his or her parent to attend an upcoming camp. Once a parent creates a user public profile, he or she can narrow search options to just display soccer-related programs at any Payscape Registration organization. Do you have target audiences who want to be directed solely to a specific type of program? No problem! You can also create ‘Saved Search Tags’ to generate unique URLs to your landing page that will only display programs associated with a specific tag. What does this mean for your customers? The registration process becomes even easier when you provide them with these links because the search has already been done for them! Simply put, our team at Payscape Registration prioritizes convenience and transparency throughout our platform. 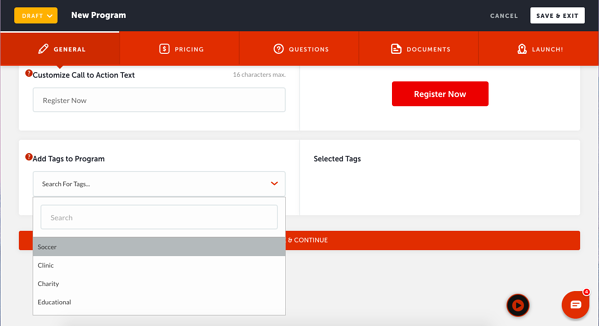 The tag builder provides your registrants with an effortless search experience so they can sign up for their favorite programs in just a few clicks. How cool is that? Be sure to start your free trial today if you haven’t already done so and see for yourself why Payscape Registration is the most versatile and user-friendly registration software around!